Child Support Archives | Florida Law Advisers, P.A. Child support is defined as a court ordered obligation for the financial support for the care, maintenance, training, and education of a child. When determining the amount of Florida child support to be paid by each parent a court will defer to the Child Support Guidelines. The Guidelines outline the amount of support to be paid and is based primarily on the parents’ net income and amount of children involved. 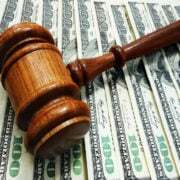 In most cases, a Florida family law court will follow the Florida Child Support Guidelines; however, a court does have discretion to deviate from the Guidelines. For information about a specific Florida child support case or set of circumstances contact a Tampa family law attorney for advice. If a parent is ordered to pay Florida child support it can affect the amount of support that will be required to be paid for subsequent children. If the parent pays court ordered child support for other children, the amount can be deducted from the parent’s gross income used for Florida child support calculations. See Child Support Law 61.30(3)(f). On the other hand, if a parent supports a child without a court order requiring them to do so they will have to seek a reduction under a different section of the law. 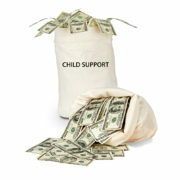 Florida Child support orders can be modified if there has been a substantial change in circumstances. The primary criteria in determining the amount of child support will be the child’s needs and the ability of each parent to pay. 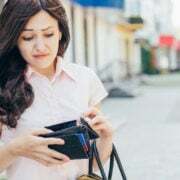 Therefore, if there is a substantial change in either a parent’s ability to pay or the needs of the child the court may modify a pre-existing child support order. Modification cases will depend on the facts and circumstances of each case, for information about any specific situation contact a family law attorney in Tampa for assistance. Normally, the birth of subsequent children will not be sufficient grounds to seek a modification decreasing the amount of child support. See Florida v. Feeney. Further, if the parent takes on a 2nd job to support one or more subsequent children, the court can exclude the earnings from that job when determining the amount of support to be paid. 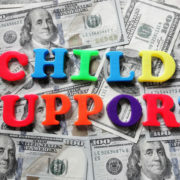 In order for subsequent children to be grounds for modification reducing child support special circumstances must exist. An example of special circumstances justifying a reduction can be a later born child who has severe and expensive health problems. See Robinson v. Robinson. 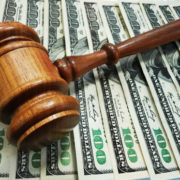 A skilled Tampa family law attorney can make an impact in a child support case. If you are contemplating filing for divorce, child support, or modifying an existing child support order contact Florida Law Advisers to speak with a family law attorney in Tampa. With our experience in family law litigation we are more than ready to present a compelling case on your behalf and to stand firm for what is fair. To speak with a divorce lawyer at our firm call us today at 800 990 7763.